Journalist John Roberts, who started his career in Owen Sound, Ont., and is now one of CNN's star reporters, says he's "flattered and so humbled" by his induction into the Canadian Broadcast Hall of Fame. Canadian-born John Roberts, now co-anchor on CNN's American Morning, will be inducted into the Canadian Broadcast Hall of Fame during Canadian Music Week. ((CBC))Journalist John Roberts, who started his career in Owen Sound, Ont., and is now one of CNN's star reporters, says he's "flattered and so humbled" by his induction into the Canadian Broadcast Hall of Fame. Roberts, visiting Toronto for his induction on Thursday night, joked on CBC Newsworld on Thursday morning: "Do they give you a Hall of Fame award before they put you out to pasture?" The 52-year-old began his career on radio doing market reports in Owen Sound. "When I got into radio, I thought: I'm going to set a career track," Roberts said on CBC Newsworld during a 10-minute interview. "I'm going to get to CHUM Radio within two years and if I could not do that, then maybe I'll see if I can get into medical school or something like that." Roberts was at CHUM within 19 months. He made a name for himself in the 1980s as the host of MuchMusic's pioneering TV show The New Music. The show's 30-year run closed last year. He recalls his favourite interview from those days. "Meeting Robert Plant for the first time … I was a kid growing up in the rock n' roll heyday of the 1970s and Led Zeppelin was a huge band," recalls the New York-based Roberts. "My producer friend was going to bicycle up as a courier with this multi-platinum award we were going to give him. We were doing it on the roof of Citytv and he almost fell off the roof!" Sometime in 1989, he ventured into news territory and went to Miami to become a TV reporter. "I was shocked by the racial divide and when I got there, I saw the lingering southern divide. I saw it from a [Canadian] point of view," noted Roberts. "You know, I became an American citizen in 2001 and my reporting now is probably no different [than other American reporters]." Since starting on the track of American journalism, and also serving as chief White House correspondent at CBS from 1999 to 2006, Roberts has reported from the Middle East and been embedded with U.S. troops in Iraq. He was also in New Orleans to chronicle the Katrina disaster. 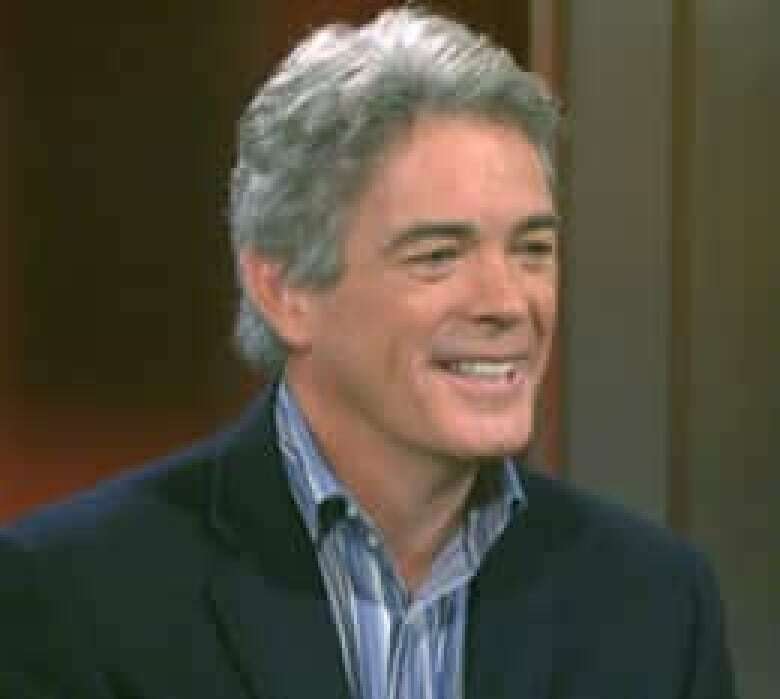 He has been recognized with three Emmy Awards, a National Headliner Award and an Edward R. Murrow Award. Roberts says he looked up to the late Peter Jennings, the Ottawa-born journalist who became the ABC evening news anchor and died in 2005 from lung cancer, and Canadian Morley Safer, who is a mainstay on 60 Minutes. He says his "long and torturous route" to his current position as AmericanMorning co-anchor on CNN was helped along the way by managers who believed in him. Roberts says he called up the offices of CHUM FM in Toronto when he was 16 or 17 years old, and asked the secretary if there was anyone running a course for young broadcasters or was mentoring. She put him in touch with manager Brian Thomas. "He was very helpful. If he hadn't picked up the phone and had some belief in me, maybe the first job would not have happened." Of his many years now in American news, Roberts says he's still struck by his first interview with current U.S. President Barack Obama back in 2004 at the Democratic National Convention. "When I first met him … I said to myself, 'This guy is going to places.' You could feel the electricity off him." Roberts says that with the new administration, he feels American news will be more outward looking and will report on international events a lot more than usual. He also says he doubts there is a job in Canada that would lure him away from his CNN job. "I really do love what I'm doing, it's a great place to work … CNN has incredible global reach and you can do anything you want."